The LNHS FFA Alumni Association is selling smoked Boston Butts for Christmas. The cost is $25 and will be available for pick up on Dec 23 in the Ag Shop from 12:00 pm to 3:00pm. Orders need to be in before 5:00 pm Dec 16th and payment received by 3rd block Dec 18th. 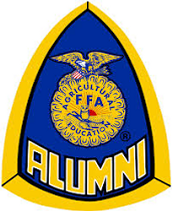 Make checks payable to Lake Norman FFA Alumni. Orders can be placed by emailing Heath_Brittain@iss.k12.nc.us.